In Greek and Roman mythology, Medusa is “The Guardian, Protectress” and when gazed upon directly, would turn on lookers to stone. Holding true to that legacy, this modern day patient-pleaser delivers an entire body sensation unlike any other. 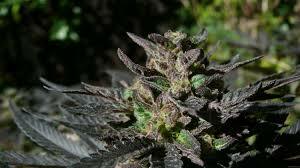 Its fruity sweet smell is fresh and clean like the Great Outdoors. 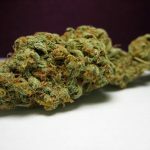 Its buds are bright green fluffy light pillows with sparse golden hairs; it looks like the entire bud was completely and generously powdered in crystals. Sporting a high flower to leaf ratio, exceptional resin production and superior potency are all positive characteristics displayed by this exceptional plant. The smoke is rich full-bodied yet has a smooth and pungent flavor with a pleasantly provocative aftertaste. The initial reaction to the first encounter is purely a cerebral one then the second unleashes a tingling that crawls from head to toe and by the third round you have a front row seat in relaxation city. Our Grand Daddy Medusa’s medicinal properties include: helping with sleeping disorders and pain-relieving attributes. 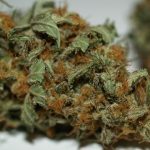 It is also proven effective in treating of appetite, and is ranked as one of the hottest new medical strains to acquire. This strain is different from The Nirvana Seeds Medusa ! 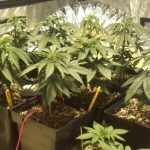 This entry was posted in Grand daddy purp and tagged GDP, Grand Daddy Purp, medusa. Bookmark the permalink.